Pona, the simple typeface belongs to the classic serif family. The font is an elucidation of some of the most renowned serif fonts such as Goudy, Times, Georgia, and Garamond. 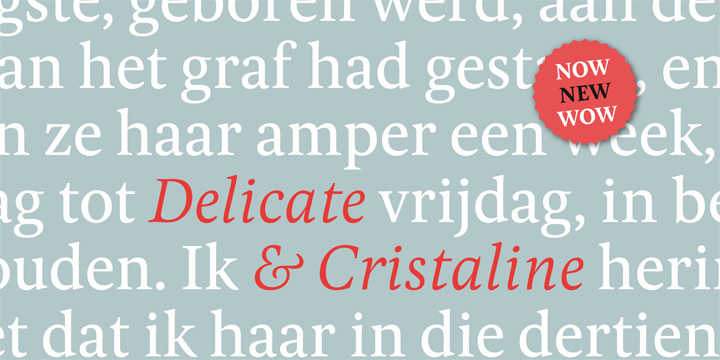 Pona offers elusive letterforms in conjunction with a large x-height. It also circumscribes moderate contrast that is highly valuable in use with small sizes and low resolution prints. Pona comes armed with five weights which facilitates it to convey a wide range of tones to any page. The unique font is a typical OpenType font with small caps. It also comes with proportional oldstyle figures, proportional lining figures, tabular oldstyle figures, super- and subscripts, tabular lining figures, fractions, and ordinals.